When you open the box you will be amazed! The gorgeous classic design makes these sparkling earrings very classic, elegant and good looking, and great to wear with formal wear, work attire, and casual wear! 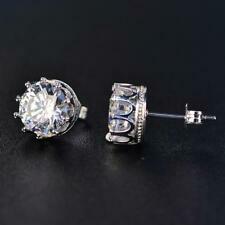 Solitaire Studs. They are bright and sparkly and display more fire than the best grade of diamonds, as shown in the table below. The only small drawback is that it is not as hard as diamond. Dispersion or "Fire". In fact, it scores 9.25 on the Mohs scale for hardness. This incredible gem has the faintest hints of color (J - K color range), just enough to lend definition to its facets. About Charles & Colvard®. In fact, it scores 9.25 on the Mohs scale for hardness. This incredible gem has the faintest hints of color (J - K color range), just enough to lend definition to its facets. Beautifully crafted in sterling silver and secured in a four prong setting. 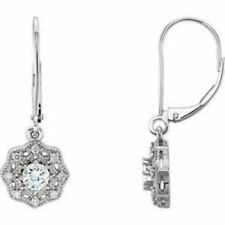 Round Cut 2.50Ct Moissanite Drop Dangle Hook Style Earrings 925 Sterling Silver Shipped with USPS First Class Package. This is a limited time special price only good until Friday March 7, 2019 @ 12am. Main Stone Color: Near Colorless. 14k white gold round cut mossonite stud earrings 1.50 ctw for sale! Style: Stud. Diamond Color: Near Colorless. Fastening: Screw Back. Main Stone Shape: Round. because round stone are the most popular cut and shape that. T otal # Of Stones: 2Cut: Round. Color: Black Clarity: N/A. It is unique designed by the experienced designer and finished by highest level. When you open the box you will be amazed! Main Stone Shape: Pear. 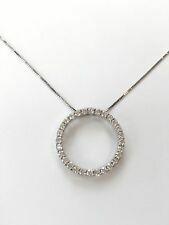 The detailed elegant design makes this 14K plated cushion pendant necklace very fashionable and unique, and great to wear with formal wear, work attire, and casual wear! In fact, it scores 9.25 on the Mohs scale for hardness. This incredible gem has the faintest hints of color (J - K color range), just enough to lend definition to its facets. The pendant has a Diamond Equivalent Weight (DEW) of 1.00ct (Actual Weight 0.88ct). Style Stud. Type Earrings. Main Stone Shape Round. Country/Region of Manufacture United States. If the information does not match, your order may be canceled. Cut Very Good. Total Carat Weight (TCW) 2.00. Tons of lab diamonds make this stud earrings a gorgeous and chic accessory. The fancy white color looks good on a little black dress for an elegant look, or match it with a white blouse for a date look. In fact, it scores 9.25 on the Mohs scale for hardness. About Charles & Colvard®. Beautifully crafted in rhodium plated sterling silver and secured in a four prong setting. In fact, it scores 9.25 on the Mohs scale for hardness. This incredible gem has the faintest hints of color (J - K color range), just enough to lend definition to its facets. The pendant has a total Diamond Equivalent Weight (DEW) of 2.07cttw (Actual Weight 1.98cttw). In fact, it scores 9.25 on the Mohs scale for hardness. Beautifully crafted in 14K yellow gold and secured in a four prong setting. 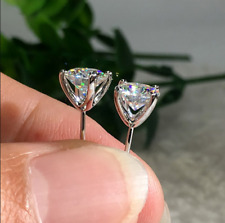 The pair of earrings has a total Diamond Equivalent Weight (DEW) of 0.46cttw (Actual Weight 0.44cttw). Solitaire Pendant. 14K White Gold Over. Diamond Shape. White Diamond. Diamond Color. Round Shape. Signity Diamond's are bright white man made diamonds with more sparkle than natural diamonds. Diamond Clarity. Any winter lover will want these earrings! When you open the box you will be amazed! The detailed snowflake design makes this sparkling earrings very fashionable and unique, and great to wear with formal wear, work attire, and casual wear! In fact, it scores 9.25 on the Mohs scale for hardness. Beautifully crafted in rhodium plated sterling silver and secured in a four prong setting. Ring size 7. The primary 5.0mm gemstone has a Diamond Equivalent Weight (DEW) of 0.50ct (Actual Weight 0.41ct). 14k Yellow Gold. Type 14k White Gold. Shape Round Cut. your warranty covers all jewelry made of Sterling Silver, 10k, 14k, 18k gold and platinum. Free Gift Box. You can expect our service to be friendly and professional. This handmade rose quartz earrings are made of high quality and deep rose quartz and AAA level CZ that have an amazing shine and sparkle! When you open the box you will be amazed! Janurary Jewelry - Garnet. Main Diamond Weight: 1.00 Carat. Main Diamond Shape: Round Shape. Main Diamond Color: Off White. If so we won't take the product back. You will be responsible for all import duties in your country. US6 and can be sized by any jeweler. I do not resize anymore. The jewel is set in. If Lab-Created Gemstones are used, it will be listed as Lab- Created. All set in a Platinum Over Solid. 925 Sterling Silver Ring. US7 and can be sized by any jeweler. I do not resize anymore. The jewel is set in. If Lab-Created Gemstones are used, it will be listed as Lab- Created. All set in a Platinum Over Solid. 925 Sterling Silver Ring. Gorgeous sparkler! Pear shaped, size 7, Sterling band & setting with 18K white gold coating (so no tarnish!). Natural stone, heated. You can customize the following things given below Engraving (No. of characters will subject to size and space in the jewelry). Color Stones ( Red / Green / Yellow / Blue / Black etc). We're a jewelry manufacturer based in USA and India. Brilliant 7Ct Round Cut Moissanite 18K White Gold Over Womens Bracelet Tennis 7"
Want to add A personal touch to this piece?. White Gold Over. Ring Resizing All Ring Size Available. Color Stones Change (White Topaz, Blue Sapphire, etc). Main Stone Shape. Secondary Stone shape. If the information does not match, your order may be canceled. You can customize the following things given below Engraving (No. of characters will subject to size and space in the jewelry). Color Stones (Red / Green / Yellow / Blue / Black). We advise removing this ring when being exposed to any type of substance or chemical. Main Stone Colour. Want to add A personal touch to this piece?. Ring Resizing All Ring Size Available. White Gold Over. Color Stones Change (White Topaz, Blue Sapphire, etc). Main Stone Shape. H-I(White). You can customize the following things given below Engraving ( No. of characters will subject to size and space in the jewelry ). Ring Resizing. If you have any queries related to the product or service you can expect a reply within 12-48 hours of inquiry. Unique design make this hook earrings a gorgeous and chic accessory. The fancy color looks good on a little black dress for an elegant look, or match it with a white blouse for a date look. This glowing white gold plated earrings was accented by gorgeous halo, and the detailed elegant design makes this jewelry very fashionable and unique, and great to wear with formal wear, work attire, and casual wear! (Stone Weight: 2.00 CT. Stone Color:White. 5) Color Stones (White Topaz, Pink Sapphire, etc). Want to add your personal touch to this piece?. Most customization requests include 7) Anything under the sun that catches your fancy, we will give it a try :). You can customize the following things given below Engraving ( No. of characters will subject to size and space in the jewelry. Color Stones ( Red / Green / Yellow / Blue / Black ). Ring Resizing. ). In fact, it scores 9.25 on the Mohs scale for hardness. This incredible gem has the faintest hints of color (J - K color range), just enough to lend definition to its facets. The pendant has a Diamond Equivalent Weight (DEW) of 1.30ct (Actual Weight 1.18ct). The jewel is set in. If Lab-Created Gemstones are used, it will be listed as Lab- Created. All set in a Platinum Over Solid. 925 Sterling Silver Ring. I also use Rhodium over. 925. I do not use plated or filled rings. In fact, it scores 9.25 on the Mohs scale for hardness. This incredible gem has the faintest hints of color (J - K color range), just enough to lend definition to its facets. The pendant has a total Diamond Equivalent Weight (DEW) of 0.33ct (Actual Weight 0.29ct).